As I’ve explained, Quatre is rather extreme in voicing. It’s powerfully warm, and even slightly congested. Because of this, source pairing could be important, if you worry about these traits. Personally, I enjoyed them with every DAP, even the very warm ones. But it’s something to be mindful of. The Cayin N8 ($3,299, Review HERE) has a warm, lush signature from its Nutube output. But it’s also the height of transparent and clear, with awesome detail and resolution. Because of this, you’ll be hard pressed to find anything that doesn’t couple well, soncially. But, if it is too warm, you can always use the Balanced output, which is less so. For myself, I found the rich, rounded echoes of the Nutubes to take Quatre to its highest potential. I fell madly in love with this setup. iBasso’s DX200 with AMP8 ($899 + $199, Review HERE) is like the N8, in that it’s warm and robust, yet insanely clear. It’s not one of those DAPs you need to worry about. It’s too well balanced to disrupt a signature. Instead, it just makes Quatra shine like it was always meant to. This was the player I used while writing my sound impressions. 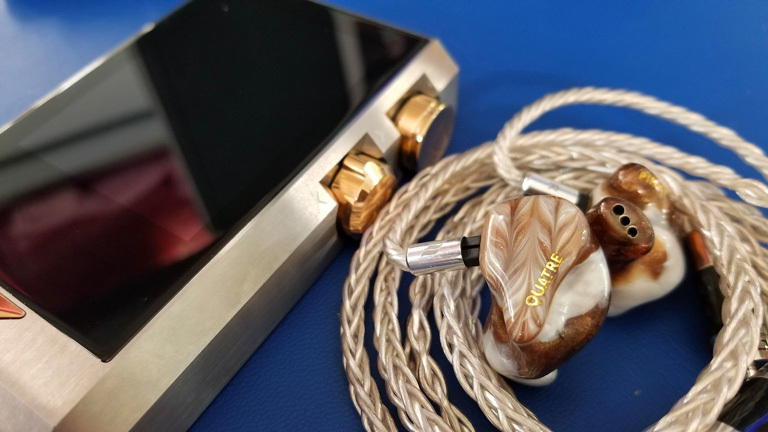 Quatre absolutely overflows with deep, wholesome tones, and sounds as clean as you’re ever going to get. Well, perhaps not. 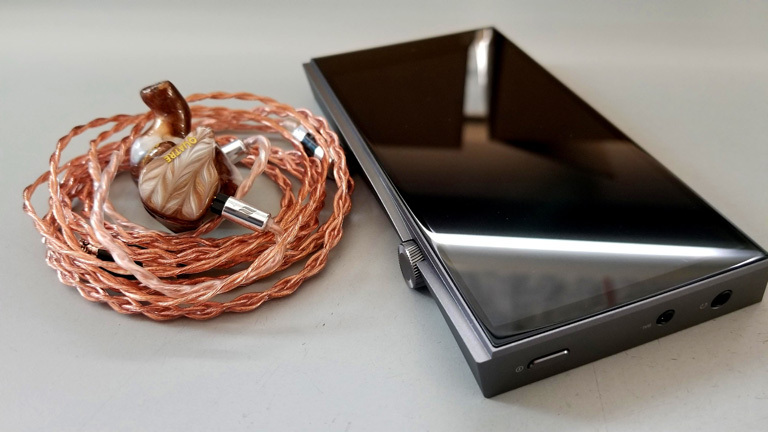 Astell&Kern created quite the clean little monster in their SE100 A&future ($1,699, Review HERE). It’s a less robust deal, with far less power, tuned closer to analytical (though far from dry), and utterly oozing clarity. Yes, Quatre can be brought a little more into the light, if that is your desire. Right. Enough of the expensive junk! 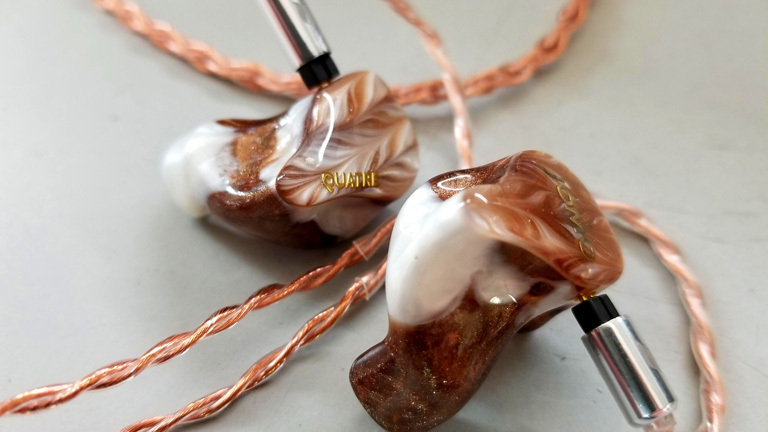 What if you want that AK SE100 sound, but can’t imagine spending that sort of coin? First off, I’d say, congratulations. You are mentally healthy. Healthier than many of us. Next, I’d direct your attention to the Cayin N5ii ($249, Review HERE). It’s like $100 cheaper than it used to be, since the S version came out. I haven’t reviewed that, but by all accounts, it’s just as good, if not better. Is it actually as good as the Astell&Kern. F**k no! That was hyperbole. But it’s VERY, and shares the same kind of tuning. The N5ii is an easy recommendation for anyone looking for a great player at a reasonable price. 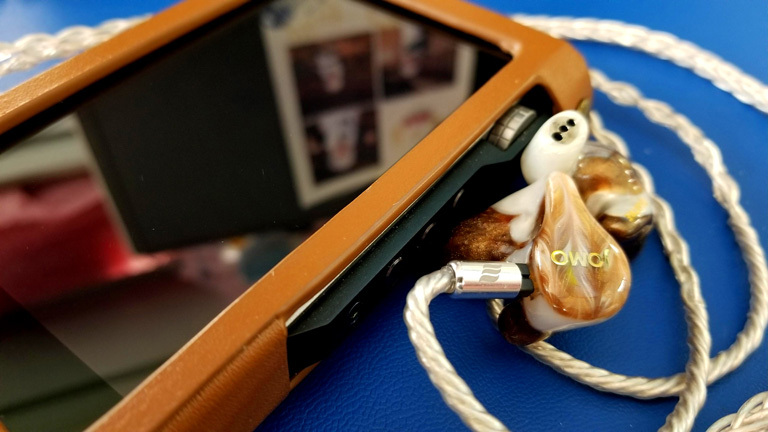 Then there’s the affordable DAP in the warmer, more musical category, the Shanling M5s ($429). Here is the sort of player one might be weary of if Quatre’s richness concerns you. Pairing great warmth with great warmth can be too much of a good thing. I, however, was happy to learn these two pieces of gear wove together splendidly. They embraced each other’s signature and gloried in it. Still, there’s no mistaking the WARMTH of it all. If that’s not your bag, or you want to tame it as much as possible, run from this pairing with the swiftness of a Kenyan.